‪Bengaluru‬ get ready to party with ‪‎BRUTALS‬ this Sunday! Once again its time to dance on the firing music of ak’s and m4’s. 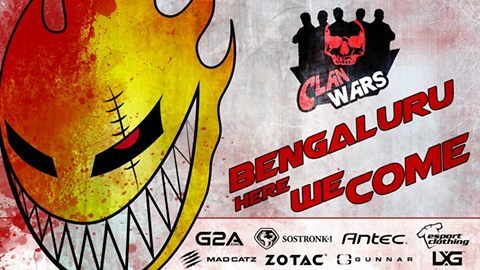 The boys of ‪‎BRUTUS‬ powered by ZOTAC India, G2A.COM, SoStronk, Esportclothing, Antec India, Mad Catz India, Gunnar Optiks India and LXG – League of Extraordinary Gamers will be playing Clan Wars Season 5 at ARG Lounge this weekend. If any of our cadets are around, don’t forget to meet us.